A next generation cloud-based Corporate Compliance Software solution empowering professionals to efficiently manage company compliance. CAS 360 Corporate Compliance Software will help ease your administrative burdens by streamlining your processes with its innovative technology. By saving valuable time and resources, you will be able to focus on the many, many, other responsibilities of a company secretary! Access CAS 360 on the cloud anywhere, anytime, invite an unlimited number of users and have confidence in our 99.9% service up-time. 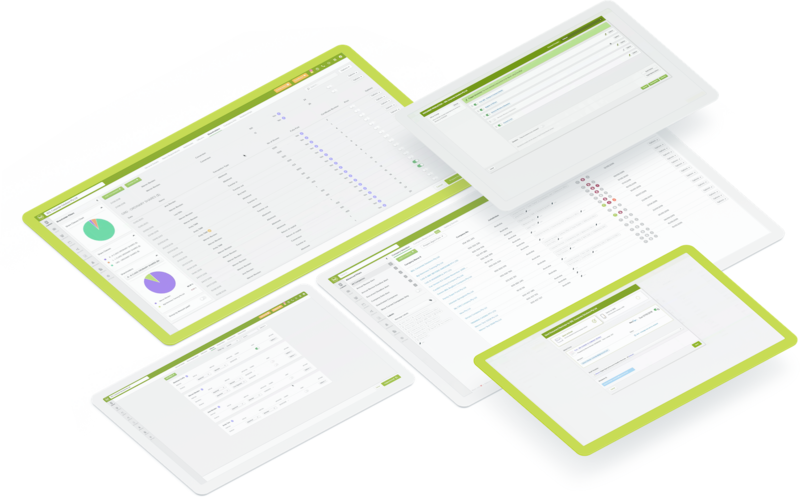 Say goodbye to tedious spreadsheets and calendar entries with our automated Smart Alerts to manage document deadlines and company debt. Enjoy a ‘hands-off’ approach to the ASIC Annual Review process with automated tracking, downloads, database comparisons and delivery of the annual statement pack to clients. Trust in BGL’s 30 years of experience providing leading compliance software. With regular software updates, we guarantee you will always comply. Rest assured your valuable data is safe. CAS 360 is hosted by Amazon Web Services (AWS) Australia with daily data back-ups, periodic security audits and MFA. Getting started is easy with CAS 360’s simple migration and intuitive navigation. You will also have access to extensive training, help and support resources. Want to see CAS 360 in action? Check out our YouTube Channel! Manage Annual Review dates, document deadlines and company debt (including full ASIC debtor management) with our daily automated Smart Alerts. Save hours by registering companies with ASIC in CAS 360. Plus reserve company names with ASIC and track expiry dates and more in CAS 360! Full Trust management with support for distributions. Users have the ability to enter Trust information and create supporting documents. Send SMS and email reminders to clients for document deadlines and company debt. Track all sent/received messages plus delivery status in CAS 360. Quickly and easily customise documents (in Word) and email templates (in plain text, rich text or HTML) with your firm’s logo and unique branding style. Connect with leading document providers including Acis, Cleardocs, NTAA, Smarter SMSF, Topdocs and LightYear Docs. Electronically sign, send and manage compliance documents in CAS 360 using our DocuSign integration. *DocuSign subscription required. CAS 360 connects directly with leading practice apps including Xero Practice Manager, Xero HQ and AccountKit! Sold in lots of 25 companies. Includes unlimited users and telephone support + 12 months access to BGL's Learning Channel. Use our migration utility to migrate all of your historical data and documents including trace numbers and pending lodgements from CAS Desktop with just a few clicks! If you are using the ASIC portal or any other company secretarial software, BGL can usually get you up and running on CAS 360 within an hour. The BGL Learning Channel is an on-demand, self-paced training platform where CAS 360 users can complete courses online and is free for the first 12 months of your subscription. All prices are in Australian dollars and exclude GST. Our Guarantee: If you’re not happy with your BGL product, tell us within 30 days and we’ll give your money back. CAS 360 is Australia’s preferred corporate compliance software and is used by over 1,350 firms to manage over 333,000 companies. Serious love for this feature (Automated Annual Reviews). In prior accounting firms the system was clunky, antiquated, unnecessarily complex and through poor follow up led to late payment and fines for the client. Why? Why? Why? Do firms still persist with the old way when there is this!!! I am loving CAS 360. With the functionality you guys are continually adding it is becoming easier to use. Preparing documents are a cinch. Fantastic job with the development of CAS 360. Has been a God send!